NCIE has a range of Conference facilities suitable for your next conference, meeting, group dinner, event or workshop. 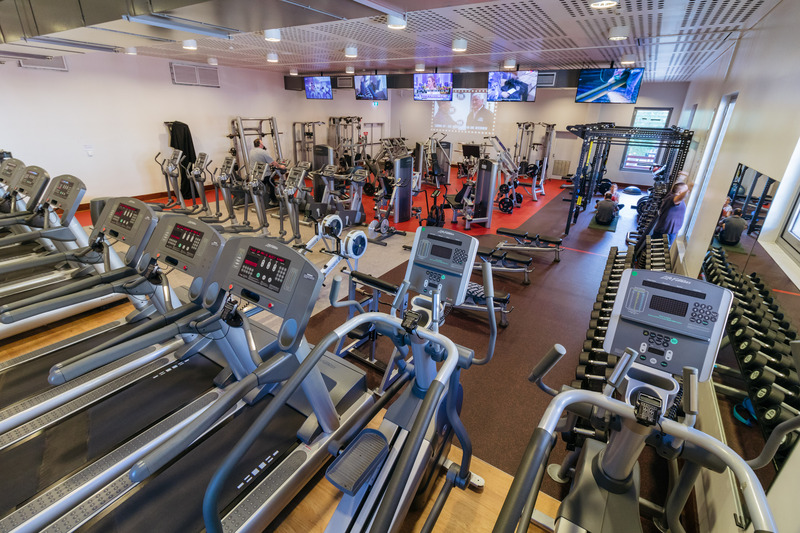 Our Fitness Centre facilities are hired by a large range of groups for basketball, netball and soccer , swimming carnivals, children’s birthdays, fitness classes, and creative and educational group activities. or phone 02 9046 7800 to check availability. Top level heritage room configurable as one or two spaces for up to 100 people. Ground level room for dinners, launches and events..
A space for 12-15 people for meetings workshops and fitness classes. The NCIE’s dining room opens on to the main entry courtyard. It’s suitable for lunches, dinners and receptions, community events and celebrations, product demonstrations, launches and workshop spaces. It is also our main dining location for our accommodation and conference guests. The NCIE’s full commercial kitchen is adjacent to the dining hall with a service area and buffet to accommodate all catering requirements. A range of additional AV facilities including staging and specialised equipment can be easily organised for additional cost. Our heritage conference rooms can be configured as one large space or two separate areas- large and small. With an abundance of natural light, beautiful high ceilings and natural ventilation if desired, our conference rooms provide the perfect non-corporate meeting space or event location. Whether your event is a launch, training presentation, a work or team meeting, or a social gathering, our spaces can be transformed to suit your needs. Custom setups available on request. Registration tables can also be provided. 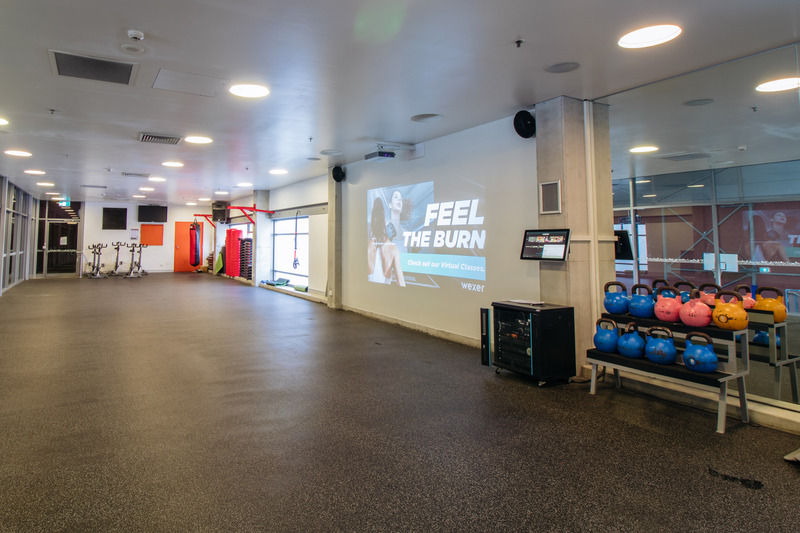 The NCIE's multi purpose Small Group Studio is perfect for a range of activities from small group fitness classes, workshops, rehearsals, readings and meetings. The room can be configured with chairs and tables and has a blackboard running the length of the room. Additional AV facilities can be organised at an additional cost. Self-contained, multi-purpose work and meeting space for up to 40 people. For art and craft classes or kids birthday parties for up to 20 people. The NCIE's Arts & Crafts Room is perfect for art classes, creative workshops and children's birthdays. The NCIE's multi-purpose indoor Activity Room is ideal for small meetings, workshops and children's birthdays. The room can be configured with tables and chairs, or as an open space and includes separate bathrooms and a kitchenette. Hire our sports field for one-off or regular training or competitions. Our six lane 25 metre pool is hireable by the lane or for carnivals and meets. Our popular stadium can be configured as either a full court or two half courts. The NCIE Sports Field is 91m x 53m with a 6m buffer at each end. It can be used for soccer, rugby league, rugby union, AFL, touch, oztag or Frisbee. Our field is the training ground for elite sporting teams such as the Sydney Roosters and AC Milan Training Academy. Our 6 lane 25m undercover swimming pool is the perfect venue for school carnivals, activity days or structured activity. One or more lanes can be hired, depending on requirements and availability. School swimming lessons are also available. The NCIE's multi purpose indoor stadium is marked for basketball, netball, futsal and soccer. The stadium can be configured as a full sized court or two smaller courts with divider. Shaded,equipped activity or training area with soft fall surface for up to 60 people. 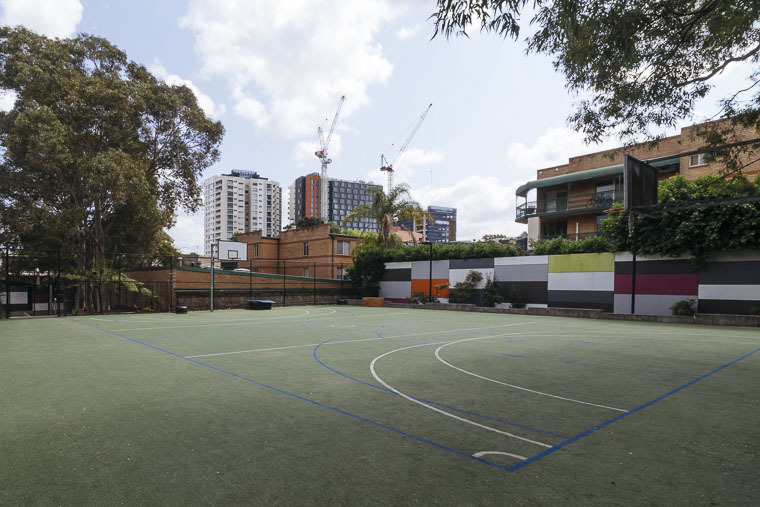 Artificial turf court suitable for basketball, netball or general training. The purpose built outdoor area, The Pit, is designed for circuit based, high intensity training. It features a soft-fall rubber surface and it is equipped with monkey bars, tyres, medicine balls, ropes and punching bags. This area can accommodate up to 60 people. The NCIE's outdoor artificial turf court is suitable Basketball, Netball, Futsal or outdoor strength and conditioning. The area can be provided as is, or with access to fitness equipment including kettlebells, weights, sleds, mats and more. The large, top floor room is the main gym. A top floor group fitness space. A dedicated cooldown and stretch space. 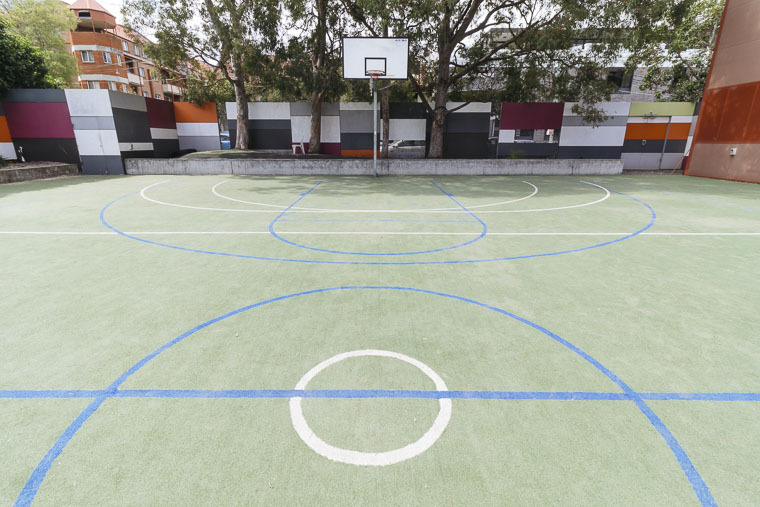 The NCIE's outdoor artificial turf court is suitable for Basketball, Netball, Futsal or outdoor strength and conditioning. The area can be provided as is, or with access to fitness equipment including kettlebells, weights, sleds, mats and more.